WE ARE: AVTE is the only organized group of educators in the veterinary field. We represent veterinary technology programs across the United States and Canada. 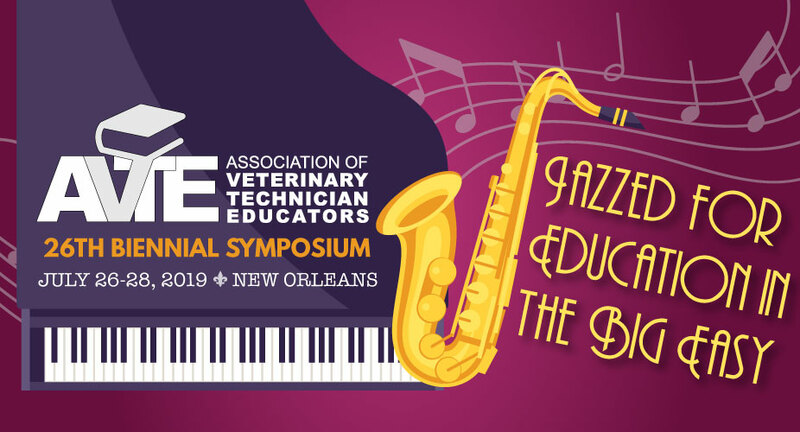 Our Biennial Symposium is the largest gathering of veterinary technician educators and features recognized speakers and presenters. WHO WILL BE THERE: You will reach more than 450+ veterinary technician educators. About 90% of attendees are decision makers in the field. WHY: Your company will benefit through numerous opportunities to meet many of these decision-makers in-person and better associate your brand with the association that gathers every other year to promote quality education in veterinary technology. Just as important, your partnership allows AVTE to continue its tradition of excellence. BE AN ATTENDEE: This is a relationship-building show. The Symposium enables you to build relationships on many levels–not just as a sponsor or exhibitor. Educators attend to participate in the learning opportunities and to network informally during breaks, at evening social events and even in the halls and elevators. As an AVTE Symposium sponsor or exhibitor, we encourage you to fully participate in the entire Symposium. You will increase your number of leads, meet more people and, of course, benefit from the learning and informal networking opportunities. The Symposium will be held Friday, July 26 – Sunday, July 28, 2019. Exhibitor Order Form - Click here for form* please note internet is included in exhibit registration fee. Total balance due by June 14, 2019. Orders received after June 14, 2019 will require payment in full with reservation. Any cancellations must be received in writing (email acceptable) and are subject to cancellation fees. Cancellation notices received on or before June 3, 2019 will result in a forfeiture of 25% of total fees. Cancellations received after June 3, 2019 will result in a forfeiture of 100% of fees. Credit card fees are non-refundable.